"A brick wall for your master buss." 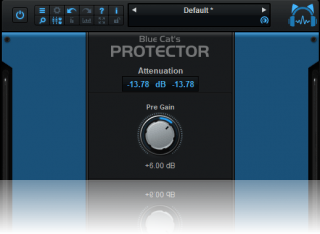 If you are looking for a complete dynamics processing solution, you might be interested in Blue Cat's Dynamics plugin. 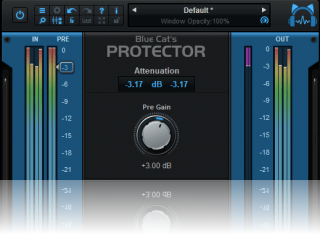 Typical applications: master output protection, master buss limiting, loudness maximizing, peak overshoot monitoring, distortion, clipping. The Stereo Link control facilitates both linked and unlinked operation, as well as any point in between.[...] The plug-in doesn't introduce latency, and requires an insignificant amount of processor power, so stacking multiple instances is no problem. All of which means that it's a thumbs up from us. I tried out the demo and after just a few minutes I went back and bought it! The effect is bypassed for 4 seconds every 45 seconds. 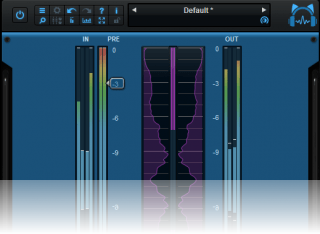 AAX: Fixed initialization issues on some Pro Tools HD configurations. Mac: Fixed user interface display issues when first opened in Ableton Live 9. Mac: fixed copy/paste keyboard shortcuts for plug-in registration that did not work in some hosts. Brand new fully customizable user interface. New gain reduction history display. New input and output RMS meters. The meters can now be zoomed to improve their precision. New average loudness boost meter. New DC Filter to kill DC offset. Improved the algorithms for increased precision of the limiter. Side chaining made easy: the MIDI and automation side chaining capabilities can now be fully configured within the main user interface. 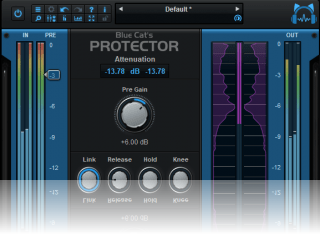 The plug-in now appears in the "Dynamics" category in Pro Tools. License is now shared between plug-ins type (register only once for all formats). Fixed MIDI output for 64-bit VST version. Mac AU: output parameters routing now works for more than one instance in Logic Pro's Environment. 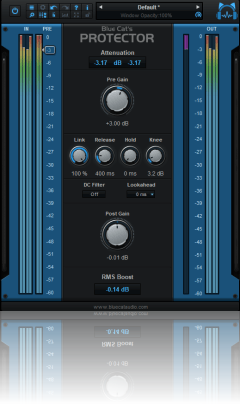 Mac AU: fixed output parameters that could exceed defined range and not record properly as automation curves. New installer (much faster install, improved upgrades).